The FLG girls teams really showed what they could do this summer. Their improvement is both a tribute to hardwork, dedication and their commitment to getting better. They are the perfect example of what happens when everyone buys in to a team. We are extremely proud of all their successes throughout the lacrosse season! After an amazing tournament appearance at Beach Blast against great competition, the 2019 girls closed out their summer of lacrosse with a dominating performance at Stowe! With the whole team focused and ready to go, they quickly jumped out to a 3-0 record and dominated the opposition. Incredible performances came from Nicole Mormile and Allie Cooney who wore the red 19 jersey all weekend. With the end of the tournament in sight, the girls fought their way through their final two games and came out victorious. They ended the weekend as champions with a 5-0 record for the tournament, their second championship of the summer. The 2019 girls have a bright future ahead of them and we are looking forward to more great moments from this remarkable team! The 2018 girls have established themselves as one of the best FLG teams this summer. With another championship at the Beach Blast and Stowe, the girls finished the summer with three championships. The girls “really started to gel and play as a unit,” said Coach McGinty, successfully executing the new plays, transitioning well great and crashing on defense. With the improvements across the board, the team hasn’t lost a game since the first tournament of the summer. Standout performances came from Erin Tucker, Stephanie Walsh, Julia Kavan, Megan Sprotte, and Daniela Paniccia at the Beach Blast, while Caroline Scamell, Emily Vomvas and Kendall Fressle really showed their stuff at Stowe. The girls really made a statement this summer. We hope to see everyone at tryouts this fall. 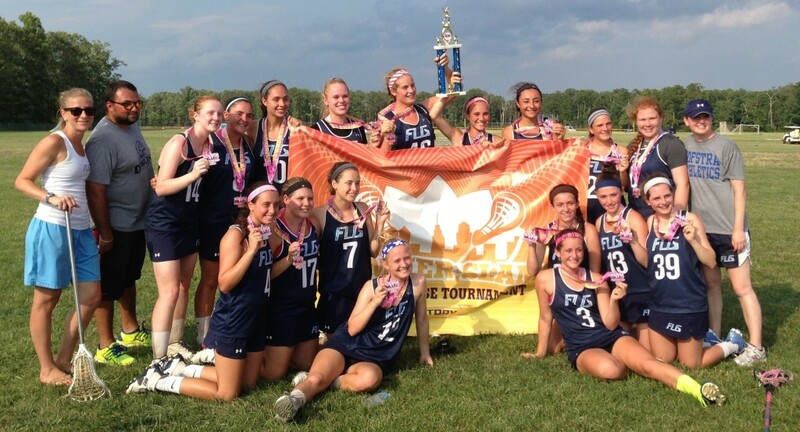 FLG 2016 Girls were Summer Slam Champs! 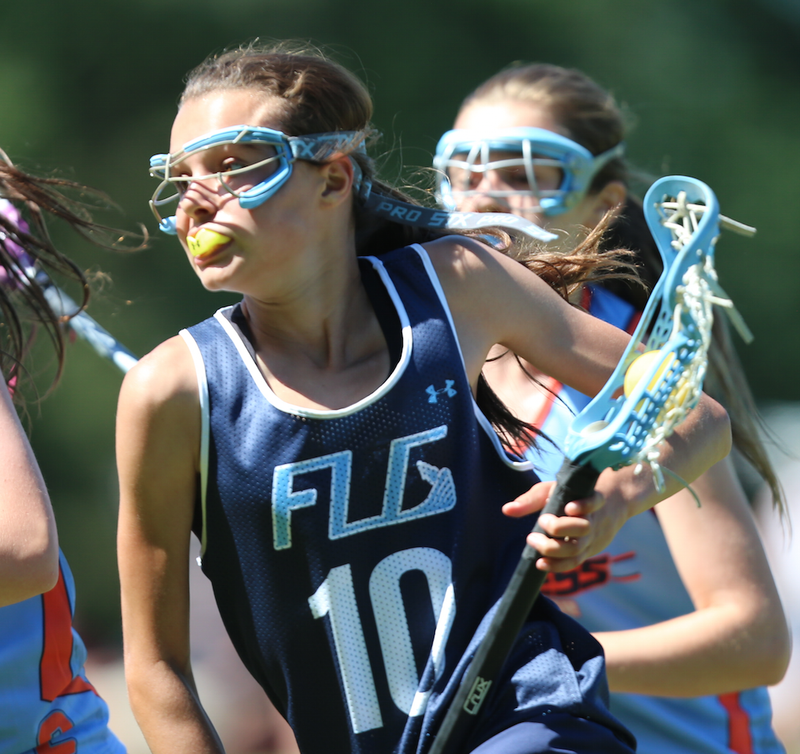 The girls of the FLG 2016 team turned out to be one of the strongest FLG teams this summer. After winning the Summer Slam Tournament, they continued their hot streak entering the Capital Cup, going undefeated against stronger competition than the week before. According to Coach Ruszkowski, “This team has made great improvements throughout the summer.” A huge factor that has contributed to the success of the team comes from the friendships that the girls have created with each other. A team that gets along off the field, gets along on the field as well and this team is a perfect example. Goalie Kaitlyn Rivera and midfielder Hailey Harder both impressed at the Cup. The team received looks from both Tampa and JMU after showing their talents on the field. The girls have been great role models for the younger girl’s teams who are looking to follow in their footsteps. We look forward to future summers with this team. The oldest girls finished their summer campaign alongside an FLG ally, the 3d girls, and were able to finish on a winning record in their final tournament. They fought hard and mixed well with the 3d girls making the experience a good one. All of the FLG girls had strong tournament appearances and were able to enjoy their summer experience as FLG athletes. Their efforts caught the eye of a Tampa University coach who was interested in a number of girls. This group of Studletes has paved the way for our FLG girls program with their strong determination and hard work. We are very proud of them!